Edgewood offers the best of suburban living in a growing metropolitan region. 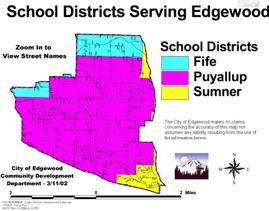 For those that know were Edgewood is located, they know it for its pastoral views, rural character, superior water quality and sense of community. Many residents living in Edgewood enjoy homes on large plats of land, yet have easy access to freeways in all directions. Interstate 5 and Hwy 167 access points are within minutes from the area. The first building in Edgewood was a one-room log cabin on the North Hill, which is often referred to as Surprise Lake. The locals know this area as the North Hill above the Puyallup River Valley which is more convenient in contrast to the South Hill. 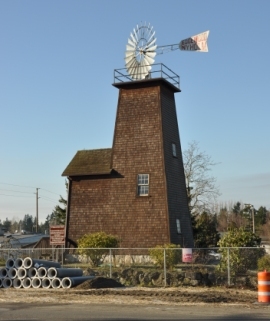 The historic Nyholm Windmill named after the first settler of the area is located off Meridian. The windmill is the only recognized landmark from the past still standing today. 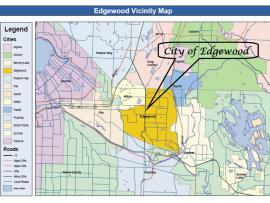 Many positive developments in recent years have added to the benefits of living in Edgewood. You can join your neighbors in maintaining a public garden at Nelson Farm Park. 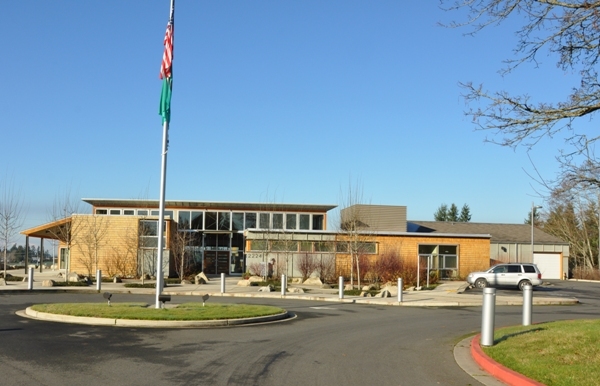 You can also have events by renting a room in the Edgewood Civic Center. The annual picnic at Edgemont Park is also popular. Getting around in Edgewood has gotten easier with the Jovita Boulevard realignment project giving Edgewood its first roundabout. This also spaced out traffic lights to improve the flow of traffic. The recent Meridian Avenue construction made significant improvements to traffic flow, as the main town thoroughfare grew from two to five lanes, moving traffic through more efficiently. Other improvements were new signage, signals and sidewalks. The Edgewood-Nyholm Windmill was built in 1902 by Peter Nyholm and provided water to his and Neighboring homes located at Meridian Avenue and Jovita Boulevard. On August 24, 1980, members of the Edgewood Volunteer Fire Department helped coordinate the efforts of countless citizens, community organizations and businesses to move the windmill to its current location. 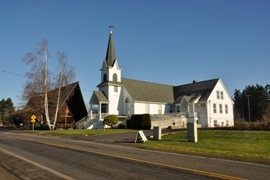 The Edgewood-Nyholm Windmill Association continues to care for and maintain the site.